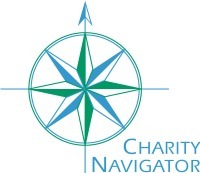 Your guide to Charity Navigator. This well known initiative is the premier independent charity rating service for non-profit organisations in the USA. Its mission is to help donors and those wishing to get involved with particular charities make the best decisions possible. They evaluate charities against a given set of criteria offering up key facts, a financial assessment and effectiveness rating. This not only helps donors of course, but also provides useful standards for charities themselves to benchmark against. This can only encourage increased transparency, accountability, understanding and best practice within the non profit world. Why are charity ratings important? Many charities these days turnover considerable sums of money. They also can have considerable social and political impacts. As charities have evolved and grown bigger their work and fundraising has become ever more complex and sophisticated. Even small local charities have to operate to legal codes and highly defined standards of accountability. This great organisation provide a process whereby any charity can be judged against given, consistent criteria, be it a major national organisation or a local animal shelter. What criteria are used to assess non profit organisations? One of the strengths of the assessment process is that they use clear methodologies and systems borrowed from the world of business. They also assess the efforts made by charities to be transparent. - How easy is it to access key information about staff, board members, programmes and practices. CEO Compensation - the salary a chief executive of a charity recieves is also listed. It should be noted however that Charity Navigator themselves point out that people with the right knowledge, qualifications, contacts and experience are increasingly needed to manage large budgets and complex organisations. All the information collected about a charity is then used to assess it. This process is quite sophisticated and allows for differences in income, expenses and purpose. For instance a museum maintaining rare exhibits may have higher running costs per dollar donated than a local homeless shelter. Four star charities are considered to be performing very well. How else can I use charity navigator? The website also can be used as a simple directory of charities working either in an area of interest or concern or in a specific geographic location. Each of these categories will then break down into component areas. You can also use their search tool to arrive at specific charities by name, focus or all those sharing a particular location. Another handy feature at the bottom of the page is a list of similar or related charities. This provides options in order to find the charity that suits you best but also similar organisations to compare and contrast the data with. This really is a great tool for those working with or wishing to donate to good causes. There is lots more information on their own website. We thoroughly recommend them.